Enjoy a tour to Islamic Cairo and see the awesome Egyptian Show included in this tour. Pay a visit to El Moez street Cairo, the best place where you can discover the Islamic civilisation, and more..
Have a blissful day of visiting the awe inspiring places in Islamic Cairo. Egypt Travel representative will pick you up from your hotel to start your tour kicking off at El Moez street in Cairo; the best place where you can discover the Islamic civilisation, as it has more than twenty nine marvellous Islamic sites. Pay a visit to Al-Azhar, the first Islamic University. Then proceed to Bab Zuweila which was built under the supervision of Badr Al Dein Al Gamal. Head to Al Hussein Mosque, then to Al Hakam Mosque one of the Fatimide Mosques, then to Bab al Fetouh and Bab Al Nasr which were built under the supervision of Gawhar El Sakaly. End your owesome tour enjoying the Egyptian show that includes popular music and dance by Egyptian artists. 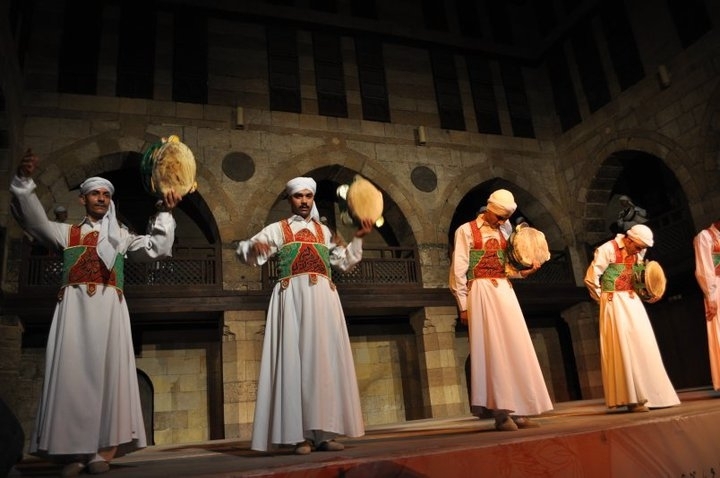 You can also watch the Sufi dance introduced on Saturday and Wednesday every week in Wekalet Algohry.